If you can’t find what you need in our FAQ’s, use this form, send us an e-mail or give us a jingle for further questions or possible projects! We’d love to hear from you and will do our best to respond within 24 – 48 hours. 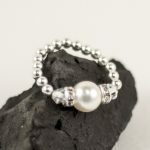 Sign up now and get a FREE Pearl Ring & FREE U.S. shipping with your first purchase. Your promo code will be delivered via email.